Ms. McHard has performed forensic and investigative accounting in cases on behalf of clients including governmental entities, nonprofit organizations and closely held companies. Examples include state government agencies, Native American pueblos and tribal governments, school districts, public and private health care organizations, constructions firms, auto dealerships, law firms, professional associations, artist royalty matters and retail organizations, just to name a few. As part of a partnership dissolution case, Janet has overseen the successful reconstruction of decades of business records to determine ownership percentages. She has also performed detailed analysis of cost billings in multi-million dollar building projects. Janet has specialized interview training and has secured written confessions which have led to successful outcomes in white-collar cases, including securing voluntary repayment of losses. Janet was previously a staff accountant and litigation support specialist with an international accounting and consulting firm. Her background also includes work as a legal secretary and administrative assistant for a law firm and business manager for a medical office. 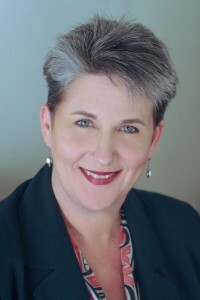 Janet holds an MBA from UNM’s Robert O. Anderson Graduate School of Management in addition to a Bachelor of Arts from the University of New Mexico. She is former President of the Board of Directors and currently serves on the National Board of Advisors for Keshet Dance Company. Janet is also a Commissioner for the Albuquerque Housing Authority, Board of Housing Commissioners. 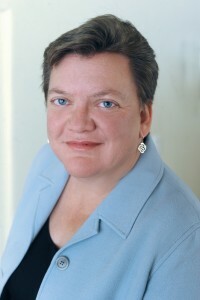 Beth A. Mohr joined McHard Accounting Consulting LLC in 2010, and became Managing Partner in January 2011. She is a Certified Fraud Examiner, a certification bestowed upon examination by the Association of Certified Fraud Examiners (ACFE). She is a Certified Anti-Money Laundering Specialist (CAMS), an internationally recognized certification awarded upon examination which denotes one as an authority in the AML field. She has testified as an expert witness in three states on a variety of matters. Ms. Mohr has a Master of Public Administration from the University of New Mexico, and holds a Bachelor of Science from Pacific Western University. 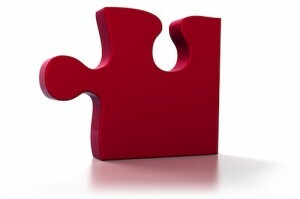 Beth is a private investigator licensed by the states of New Mexico, Arizona and California.Ms. Mohr has written and presented a webinar for the Association of Certified Fraud Examiners. She has authored and co-authored articles which were published in Fraud Magazine, the official publication of the ACFE. Her recent Fraud Magazine article, “CFEs examine this: Are you required to be licensed as a private investigator?” explores the responsibilities of fraud examiners and forensic accountants to be licensed private investigators or risk violating state laws. Her article “Leveraging the Expert: How soon is too soon?” was published in For the Defense, the publication of the New Mexico Criminal Defense Lawyer’s Association. She has also published in the technical peer-reviewed journal The Bulletin of Science, Technology & Society. 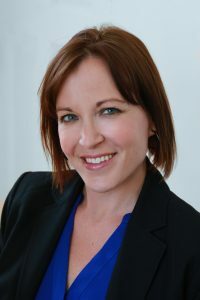 Beth has presented research papers, by invitation, at conferences for NACOLE (National Association for Civilian Oversight of Law Enforcement) and also the International Association for Science, Technology & Society. Ms. Mohr is a retired San Diego Police Officer; during her career she was awarded three Commanding Officer’s Citations, which are the highest awards offered by the San Diego Police Department (SDPD). While working with the Whatcom County (Washington) Public Defender’s Office, Beth investigated smuggling and tax evasion cases which involved US and Canadian Customs agencies. Beth’s experience includes having conducted cause of death investigations, homicide and death penalty mitigation investigations. Beth also has significant experience in the area of performance management, performance improvement and management quality review. She has conducted successful process improvement analyses for large governmental agencies and small non-profit organizations. As part of her commitment to performance measurement and quality education, she recently served as a Peer Reviewer for the National Association for Schools of Public Affairs and Administration. Beth is a past member of the ICMA (formerly the International City/County Management Association, and was a member of ICMA’s Advisory Board on Graduate Education. Anne M. Layne, CFE, CPA/CFF, joined McHard Accounting Consulting as Senior Manager in 2015. She has more than 10 years of experience in accounting, with the last 5 years focused on forensic accounting and litigation support. Her experience includes work as a forensic accountant for the New Mexico Securities Division, where she performed investigations related to accusations of securities fraud at the local, state and federal levels. She has testified as an expert in both state and federal jurisdictions. Anne also spent several years performing audits and consulting engagements for tribal governments, tribal entities, state and local governments, and non-profit organizations. Ms. Layne holds a Bachelor of Science in Business – Accounting from University of Phoenix, an M.B.A. from Arizona State University and a Master of Criminal Justice from New Mexico State University. She is the Director of Education for the New Mexico Chapter of the ACFE and is the past the Treasurer and Vice-President of the Chapter.